World Wide Waftage - Wafting Through Our World Wide Travels with Ease, Joy and Simplicity: Sunshine, at last...Ebola fears as we travel in the future? Sunshine, at last...Ebola fears as we travel in the future? This is a Gold Dust Day Gecko that we found on the wall in the lanai during the storm. He looked at up me as I shot this photo. This full body shot of the Gold Dust Day Gecko shows the colorful spots of her back and the cute little blue fingers. Tom has been plagued with the awful cough which I'm finally winding down. In the middle of the night, he had several horrible rounds of coughing that sounded as if it would never end. During the day he's fine, coughing only on occasion. His symptoms are almost identical to mine and we anticipate that within three to four nights, his coughing will subside. I'm still coughing at night but not nearly as often and for as long as Tom's bouts. The surf settled down as Hurricane Ana wafted away. We're on the mend. Hopefully, a week from now, we'll be fine. Yesterday, finally feeling well enough to get out, I decided on a walk. A vigorous walk would have been my preference but with the recent illness, I decided on a medium energy walk, setting the timer on my phone for 20 minutes, knowing I'd work my way up a little each day as I rebuild my strength. Forty five minutes later I returned to our condo, excited and refreshed realizing how lucky we've been to find the condo in this wonderful quiet area of Maalaea Beach. A warning sign on the ground of the condo building. I made my way toward the Maui Ocean Center, the world's largest tropical aquarium in the western hemisphere. As I arrived two buses of cruise passengers were being unloaded as they made their way into long lines to buy their tickets. As curious as we may be to see what this attraction has to offer, after our glorious experiences of watching animals in the wild in Africa, I have a hard time seeing wildlife confined. This is a phenomenon that effects many who have been fortunate to go on photo safaris and in our case, live in the bush among the animals for three months. Flowers blooming on a tree in the yard. Having seen the lifestyles of animals in the wild its impossible for me to find pleasure in seeing wildlife trapped in an existence that may be tolerable with their easy access to being fed but, bound by borders that prevent them from exploring their natural habitat, foraging for their own food. This interesting palm type tree is growing on the grounds of the building. Tom's walking along the shore checking for points of interest. Surely, we'll try each of them as we explore new restaurants once or twice a week while we're in Maui. At the moment, we're loving dining in enjoying our favorite homemade meals. A few of our readers have inquired as to our concerns over Ebola as we'll continue our travels outside the US next spring in the South Pacific. At this point, we can only say its a "watch and see" scenario. The Maalaea Marina walking distance from our condo. Five months ago, we were living in Africa, not leaving until May 15, 2014. Would we have gone to the continent for almost nine months had Ebola been on the news as it is now? Its hard to say. Ebola is not prevalent in the countries we visited. Although, we may have decided against Morocco with its closer proximity to the ravaged countries in West Africa where outbreaks are rampant. Flowers on a walk. Had we visited Hawaii in the spring and summer, we'd have seen many more flowers. When one thinks about it, hundreds of thousands of patients die of hospital borne infections, Antimicrobial Resistance, in the US, Canada and Europe and others of countries each year although these numbers are seldom mentioned by the media. What is being done to prevent this? Washing hands? Not enough. I won't get on my health soapbox here. We both prefer to save these conversations when among others who share the same passion, often on cruise ship at dinner. 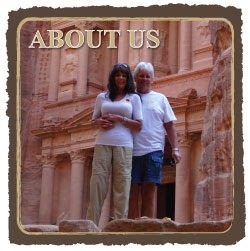 Our site is intended to share our personal experiences as we travel the world. Both boaters for most of our adult lives, neither of us longs to ever own a boat again. Ebola is a disease that is spread to other countries through travel and then, it has the potential to have an impact on all of us. In reality, our potential exposure is no greater through our travels than any of our readers who may travel three times a year. For our worried family members and friends, we continue to travel with caution and common sense. Of course, we won't visit an Ebola ravaged country. Other than that, we'll continue to enjoy our worldwide travels. A view of the Maalaea Marina from the mall. For now, we continue to work on feeling well again. Viral and bacterial illnesses most often are as a result of exposure to others carrying the germs. Somehow in Waikiki, either touching a railing, sitting at a dinner table or grabbing a menu put the contaminants in our hands and then we ate our dinner. That's most assuredly is how we became ill. When we assess how easily illness is transferred from person to person, it makes us realize how vulnerable we all are. Although washing our hands helps reduce our risks, as we've heard regarding Eloba, its much more complex than simple hand washing. This shop from the Pacific Whale Foundation is located in the mall. I wandered inside and was impressed by the nice clothing they had for sale at reasonable prices. During our three months in Kenya, we fell in love with Jessie, Han's little outdoor dog. She slept outside at night, often sitting by our door in the morning waiting for us to come outside to spend our day in the outdoor living room. For details from that date, please click here.